It seems every advice guru says the best way to make a lasting change in life is to make “it” a habit. Erin R. Ogden, A volunteer who attorneys. Putting my keys on the hook next to the door for a few weeks until it happens without so much of as a look? Yeah, that’s now a habit. I don’t think about it, and magically, they are there when I go looking for them. If I moved that hook, there is a good chance the keys would hit the floor a few days when I tried to put them on the missing hook as I came through the door. My morning search through pockets and purses has disappeared. Fabulous! However, I don’t care how many magazines, podcasts or morning news shows tell me to do it, it will never be easy for me to wake up at 5:30 am to get to yoga class. For some things, I need something much stronger than habit. The next step in my world are routines. “A sequence of actions regularly followed; a fixed program.” Routines can be powerful and extremely helpful. Stringing some habits together along with some additional things make sure I accomplish what I need done. I get out the door with my teeth brushed, watch on, and matching earrings thanks to a routine. Once the routine starts, it chugs along until voila, tasks accomplished. If it goes off the rails, there is a risk that the watch stays at home. Packing my gym bag to get ready for work after class definitely required a routine. Trust me, I only needed to forget pants for work once (OK, maybe twice) before I set up a routine for this and never vary. But I have to get started to make the routine work. And the end game is usually that I get something ticked off my checklist efficiently and (hopefully) done sufficiently well enough to allow the next action to occur. But that is not nearly enough for me to get past inertia for some actions. After all, that bed is awfully warm, and it is terribly dark outside. Is all lost? Is it left to pure brute force to get me up and moving? Luckily not. There is ritual; “a solemn ceremony consisting of a series of actions performed according to a prescribed order.” The key here is ceremony — that connotes celebration, thoughtfulness, and observation. In other words, it is the exact opposite of habit. This requires me to put brain power behind my actions. I think about starting, I think while I am doing it, and I celebrate that I did. · Yay! I just got up today and rocked out my work out! · Holy cow, I just did that for 5 days this week! · Wooo-hooo! A full month. That deserves a new water bottle. Sometimes the celebration is small, but it gets me out of bed. I can’t even guess how many times my feet hit the floor because I put a sticker on a calendar every time I complete a yoga session. I am not ashamed to say that because it worked. If all it takes is a sticker to get my asanas on, then dollar store, here I come! Now, I get up 15 minutes early just to get my full ritual in before class. I need time to set up my mat and my mind for class. If I rushed in at the last minute, it would be a chore, but with time, it is a celebration of my commitment. In my world, there is a time and place for habits and routines, but if it is important, I don’t leave it to muscle memory. 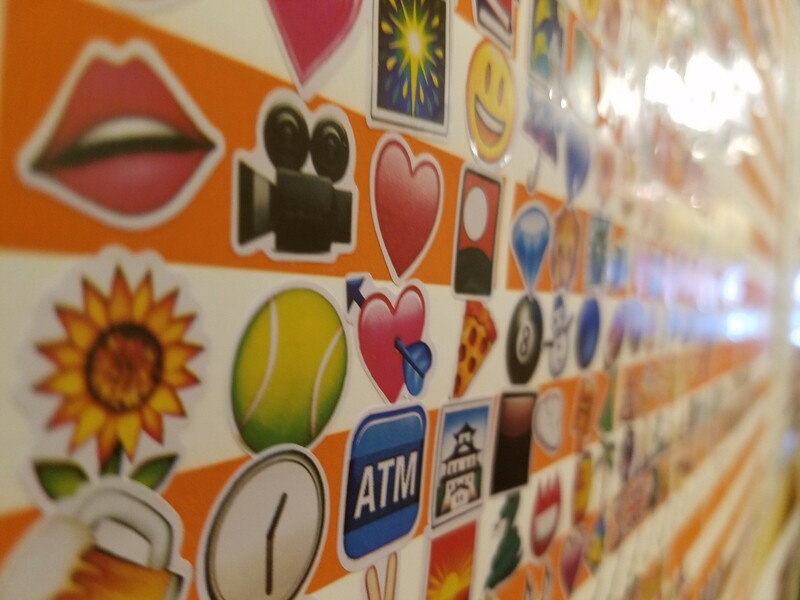 I put the full weight of my mind behind it – and a lot of stickers.